It’ll be a six-hour tournament. A new Apex Legends Code Red tournament hosted by Guy “DrDisrespect” Beahm and BOOM.TV is taking place today on Twitch at 3pm CT. Several big Apex streamers and professional players have qualified and been invited to the tournament. 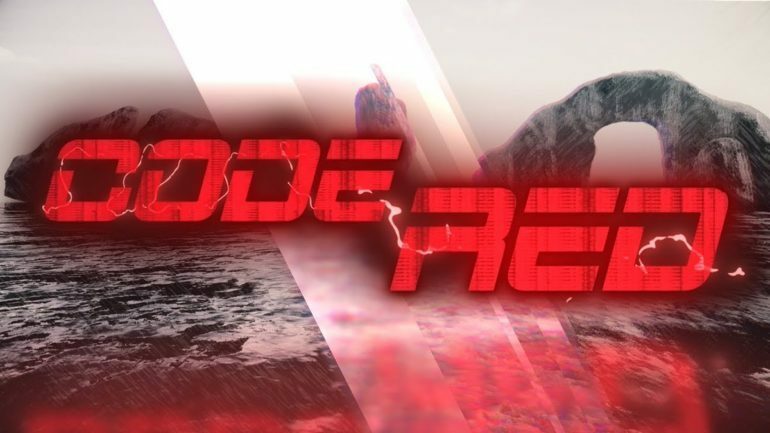 This edition of the Apex Code Red tournament will still feature a scoring system based on each team’s performance in public games since the organizers were unable to get a custom server to host the tournament. Check out the full rules of today’s Apex Code Red tournament, its scoring system and prize distribution, and how to watch it. Eight squads of three players each are participating in the tournament. They’ll face each other in a double-elimination bracket, which means a team is only out of the tournament when it loses two matchups. 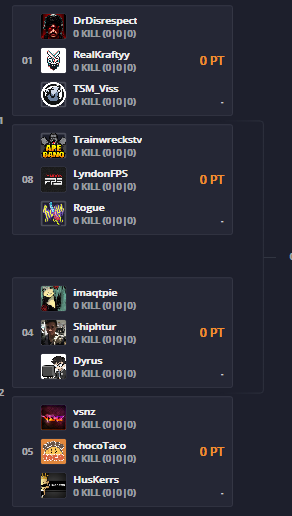 The most well-known players to participate in today’s Apex Code Red tournament include the host, DrDisrespect, star League of Legend streamers Michael “Imaqtpie” Santana and Marcus “Dyrus” Hill, and Twitch personalities Josh “JoshOG” Beaver and Félix “xQc” Lengyel. Check out the initial matchups and the full list of players participating in today’s tournament below. All players are required to livestream their matches in the Code Red tournament. Teams will play three maps per match, and the one with the highest sum of points after that moves on to the next stage. The losing team is sent to the losers bracket if it’s the first match it lost or eliminated if it’s the second. Teams will get eight points for every match they win and one point per elimination that their squad gets every match. The $25,000 that will be distributed among the winning teams will be split according to the list below. Teams from fourth to eighth place won’t receive any prize money. The opening matches of the Apex Code Red tournament are set to start today at 3pm CT and finish by 9pm CT. This schedule is subject to change depending on how fast or slow the matches are. DrDisrespect is going to stream the entire tournament on his Twitch channel, but fans can also look for their favorite streamer’s broadcast to watch it from their perspective. Welcome to DrDisrespect’s channel on Twitch. Watch them stream Apex Legends and other content live and join the community!